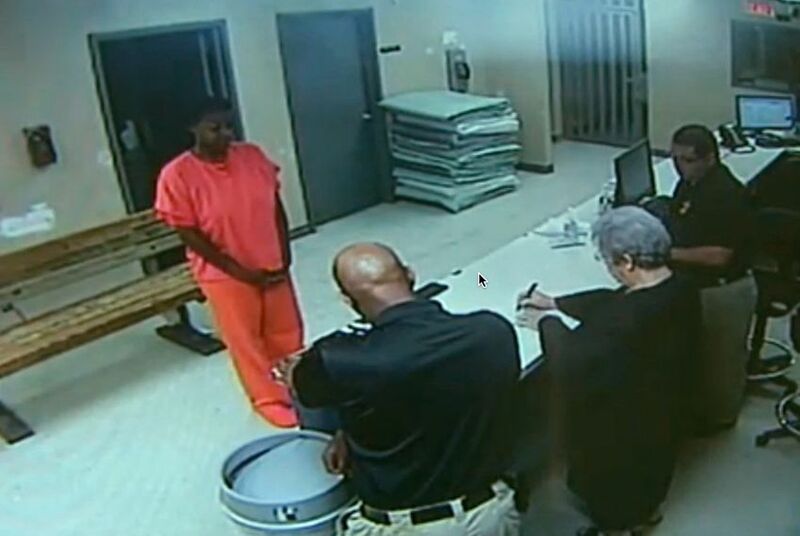 Deluged with death threats and trying to dispel rumors that they covered up the real circumstances of Sandra Bland's death, Waller County officials released more booking and jail videos Tuesday. Bland, a 28-year-old African-American woman from Chicago, was arrested July 10 outside her alma mater Prairie View A&M University, 50 miles northwest of Houston, following a traffic stop for an improper lane change. She was moving back to Texas to start a new job at the college on Aug. 3. Duhon said the threats reached such a level that by late Monday, Waller County officials decided to release the jail booking video after discovering that they could make copies from the internal digital recording system that the jail uses. Earlier attempts to do so had failed, Duhon said. "It is absolutely without a doubt a tragic situation," Duhon said, adding that Bland's family, who have retained a lawyer, were no longer communicating with authorities. "The only thing we expect to do is make suggestions as to how law enforcement can more effectively do their job without losing respect from the public," said Paul Looney, an attorney with offices in Hempstead and Houston. Looney helped form the group that will include former U.S. Rep. Craig Washington; Morris Overstreet, a former Texas Court of Criminal Appeals judge; JoAnne Musick, former president of the Harris County Criminal Lawyers Association; and civil rights attorney Randall Kallinen. The group's first meeting is on Friday, Looney said, and none of the members will be paid. Looney's law firm lists Duhon as "of counsel," meaning that he works on some cases with Looney's law firm and vice versa, but he rejected any notion that that connection represents any conflict of interest. "There's some group that think it is," Looney said. "They don't know me very well. I put it all together, but I don't have a vote."